Amazon.com, the website of the world’s largest online retailer, went down for about 15 minutes on Monday in a rare outage for many users across the United States and Canada. It was unclear what triggered the rare disruption. The company, whose Amazon Web Services is designed to ramp up server capacity for customers to prevent outages, did not respond to multiple requests for comment. Earlier on Monday, users from New York and Toronto to San Francisco got only error messages when trying to access the popular shopping website. The news came less than a week after the website of the New York Times went down for about two hours. Amazon has $86 billion in annual gross merchandise volume, including its business through third-party sellers, according to consultants at RetailNet Group. 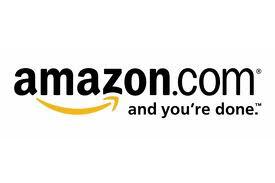 Going by that estimate, Amazon processes some $163,622 in transactions per minute on average.